The Aston Martin Racing driver is John Hindhaugh’s guest on Globecast Radio tonight – at 20.00 BST – on the Midweek Motorsport Show. 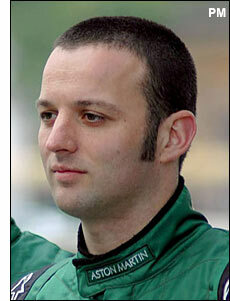 Darren should be a very entertaining guest, during a period of regular adjustments in GT1 in the ALMS. “Meanwhile the ALMS archive is growing steadily at www.radiolemans.com “ says John Hindhaugh.